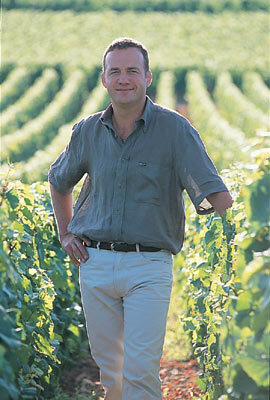 Since 1990 Pascal Lachaux, son-in-law of Robert Arnoux, stands for sublime wines from Vosne Romanee. The renowned domain contains 14 hectares in total, divided between 16 appellations, of which much wanted Grand Cru wines such as a Romanée Saint Vivant, Echezeaux & Clos the Vougeot. Also in Premier Cru Pascal and Florence may praise themselves very lucky, as they are the owners of the best lot within Les Suchots, bordering on Richebourg. A bit similar like the piece of land they own, named Les Chaumes, situated just below La Tache. And last but certainly not least their property consist of some vines bordering the well know Grand Cru La Romanée, and is being bottled as the Premier Cru Aux Reignots. Beside these fabulous wines, the domain is also known for its excellent 'village' wines. Each year they are chosen to be one the best wines of all Vosne Romanée wines during a blind tasting. In the neighboring municipality Nuits Saint Georges, the family Arnoux-Lachaux owns, besides a few vines in the simple, but o so velvety and silky smooth village appellation, also some Premier Cru wines such as Les Proces and Clos des Corvées Pargets. On the other side of Vosne Romanee, in Chambolle Musigny, they grow an excellent village wine, which excels with its tough and robust character. The wines of Pascal Lachaux are characterized by the rich aromas and an unprecedented subtlety. Its way to perfection starts in the vineyards where all work is done completely organically. During harvest he carefully selects only the best grapes and removed from all stems, very a-typical in Burgundy, but a 'must' according to his methods. After just a few days of pre-fermentation, he chooses a long and slow fermentation, with only natural yeast. All this can add up to maceration for almost 22 days. The Grand Cru wines are ageing in 100% new French oak barrels. The Premier Cru and Villages are brought up on 40% to 60% of new oak, depending on the quality of the harvested year. During bottling, the wines are never filtered to the example of the most renowned Burgundies. Most wine journalists are very impressed by the wines of Domaine Robert Arnoux, mostly for their typical Burgundy 'terroir' style. This is being confirmed by the many wine lovers who classify these wines to the absolute top of the Pinot Noirs. Because of all this, it is not surprising that the rare jewels of this domain are difficult to come by and are very much sought after.